Elves are fierce fighters in their own right, a proud and noble people; but certainly not everyone’s cup of tea. With a wide range of races to choose from for almost every class, players have rarely found themselves pigeonholed into just one. That is, until now. 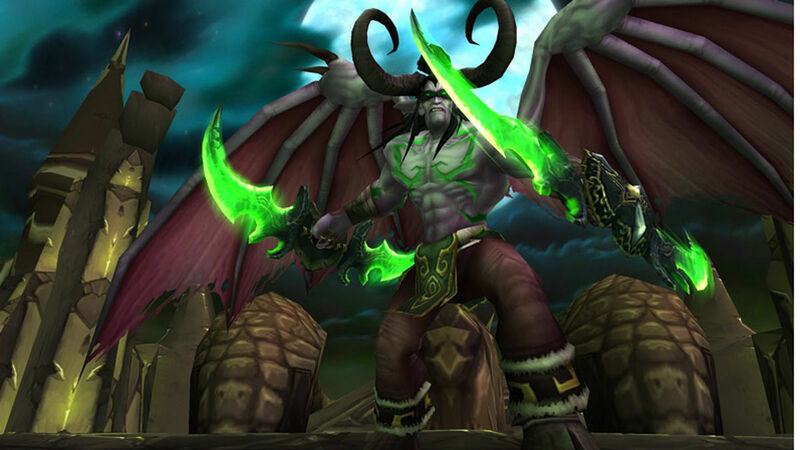 With the release of World of Warcraft: Legion players will have the ability to choose the mighty Demon Hunter; a hero class much like the Death Knight. While players will be able to choose the Demon Hunter, they will be only able to play this new class as one of the two elven races in game: Night Elves and Blood Elves. This lack of choice has left many players with a bad taste in their mouth and hopeful that in the future the Demon Hunter will be extended to more races. However, it is likely that this contingent will remain in effect for some time, perhaps infinitely. Legion is all about the lore, perhaps more so than any other expansion in WoW history. Developers are doing their best to stick to the story in Legion and nothing is going to get in the way; not even angry fans. Demon Hunters, as you may know, are elite forces recruited and/or inspired by the infamous Illidan to take down the Burning Legion. Even though Illidan was kind of an outcast, it seems he still felt elves (like most do) were the superior race. There was no way this guy was taking anyone but those he felt were the best under his wing. So he turned to other elves to take up the gauntlet of the Demon Hunter. As intent upon sticking to the lore as developers seem to be, it seems there is little chance the role of Demon Hunter will be extended to any other races. Besides sticking to the lore, Legion is all about class fantasy. Almost every class in the game is being totally revamped to make them more fun and take them back to the roots their class came from. If it does not fit into the class fantasy (think Metamorphosis for Warlocks), it is being shown the proverbial door. Even more firmly driving home the point of class fantasy is the erection of Class Halls. This brand new in-game feature will be to cornerstone of the expansion and will allow each class to join together to save the world from the Legion. Aimed to make us feel closer to our class than ever before, Class Halls have the potential to be something truly special. With that being said, Class Halls and their focus on class fantasy mean that Demon Hunters will likely remain elves. Anything else just does not fit into the fantasy. Sure, you could reason that the elves could teach other races, but does that really make sense? Elves are often secretive, prideful, and often look down on other races. Not to mention that Illidan only chose elves to fill out his elite recruits. Assuming that the class fantasy kick continues, Demon Hunters taking on the form of any other race seems very unlikely. Of course, we never know what could happen. A few months or years down the road Demon Hunters could be open to almost every race. Lore and class fantasy could be thrown out the window and everything could become a total free-for-all. All in the name of keeping everyone happy. I, personally, hope that does not happen. While I think making fans happy is important, I do not think it should come at the cost of the fantasy behind the game. Once you start stripping away the fantasy you start stripping away the very essence of what makes the game amazing. Sure, not being able to play your favorite race might be slightly inconvenient, but that is all it is; an inconvenience. Not being able to play the race you want isn’t life altering, shattering, or the end of the world. However, ruining the lore of the game for a petty reason could very well be. World of Warcraft is a game based on a particular kind of fantasy, it draws you in and makes you part of it. Many of us use it as an escape from reality. Sacrificing that fantasy would kill much of what we love about the game, even if we might not realize it until it is too late. So let us leave the Demon Hunters to the elves, exactly where they belong.